UCCR encourages and promotes program activities at our sites. We want your program to be successful while staying at one of our facilities! Our site staff excels at supporting group programs at our sites! Whether you are a youth group, church congregation, or family reunion you can rest assured knowing your camp, retreat and conference will be a success with UCCR. A/V equipment at many sites, as well as easels, at little to no cost. We are also proud to partner with our affiliate organization, Web of Life Field (WOLF) School, to enhance or lead your outdoor experience while staying at one of our California camp, conference, and retreat centers. See, enjoy, and understand more about the environment, and get the most out of your experience in nature with a professional naturalist to guide you! Inspired to find more ways to connect people to nature, we offer a Naturalist for Hire program through our outdoor education partner Web of Life Field (WOLF) School, where you can schedule an engaging naturalist to guide your group on an educational and exciting outdoor adventure at one of our sites. From hikes and nature presentations to educational programs that focus on a range of topics such as Terrestrial/Aquatic Insects, Botany, Birds, Reptiles, Fire Making or Art in Nature, WOLF School’s Naturalist for Hire program is a great addition to your camp, conference and retreat experience! Let us lead your K-12 outdoor education program! 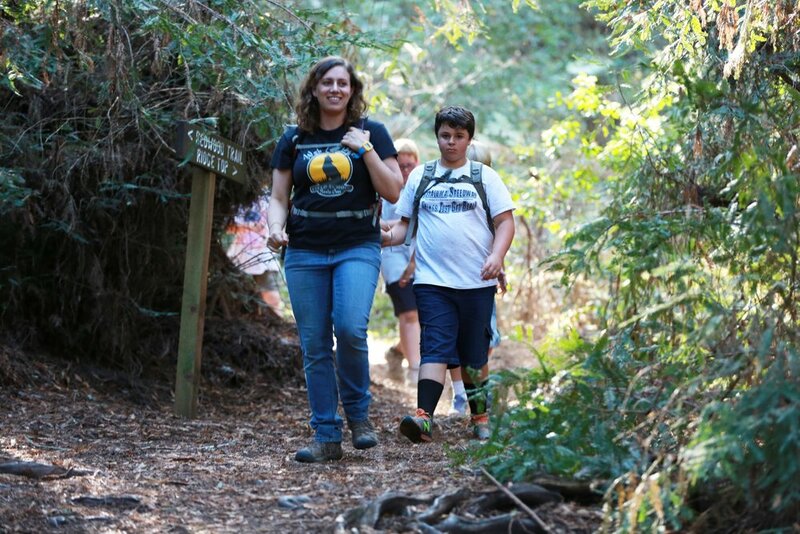 WOLF School's K-12th grade residential outdoor science camp and team building programs inspire California’s students to explore, discover, and learn through exciting field study activities, group building initiatives, fun songs, active games, and living together in a community. Programs are led by professionally-trained naturalists at stunning camps throughout California, are California State Standards-based, and support Next Generation Science Standards (NGSS), giving students the opportunity to make hands-on connections between classroom learning and the world around them in a safe and positive outdoor environment. Contact the WOLF School office for more details!